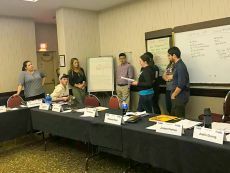 Winnipeg – June 11, 2018 – Young members from across the Prairies recently gathered for a week of dynamic activist training at the 2018 UFCW Canada Young-Workers Internship Program (YIP) session recently held in Winnipeg. 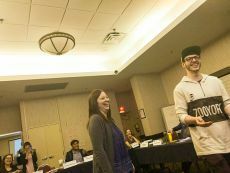 The latest stop on the YIP tour brought together members from UFCW Canada Locals 832, 1400 and 248P to learn and build new skills to become better activists in their workplaces and communities. In classroom sessions throughout the week, the 15 young members explored topics ranging from labour history to politics and the media. 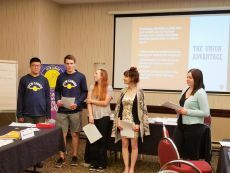 The YIP group also had the privilege of joining the UFCW Canada Indigenous Sub-Committee to celebrate National Indigenous Peoples Day and learn more about the rich history and culture of First Nations, Metis and Inuit peoples. 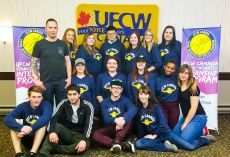 “Throughout the week, we have learned about so many important components to a healthy workplace and society,” says UFCW 1400 member Jenielle Henderson. “From learning about the economy, to globalization, capitalism, politics and the union, we have developed fundamental building blocks to take action and make positive change. I’m grateful not only for the lessons learned this week, but also for the relationships we have all built because solidarity is the key to a successful future,” she adds. 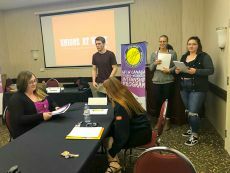 Each year, YIP engages over 100 young member-activists from across Canada. The next session of this ground-breaking program takes place in Quebec. To learn more about YIP, click here. You can also follow the program on Facebook, Twitter, and Instagram.